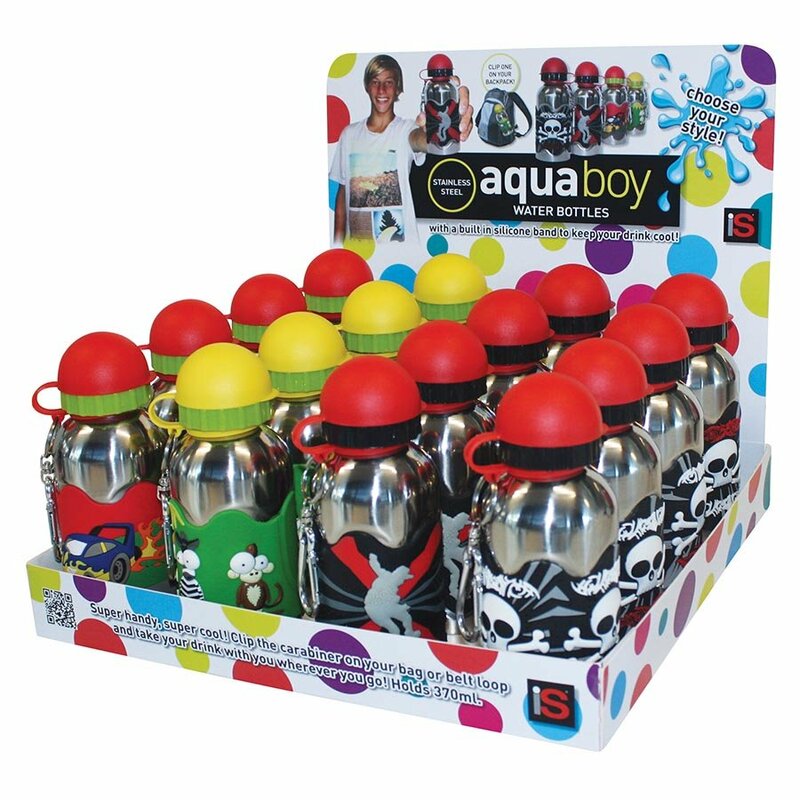 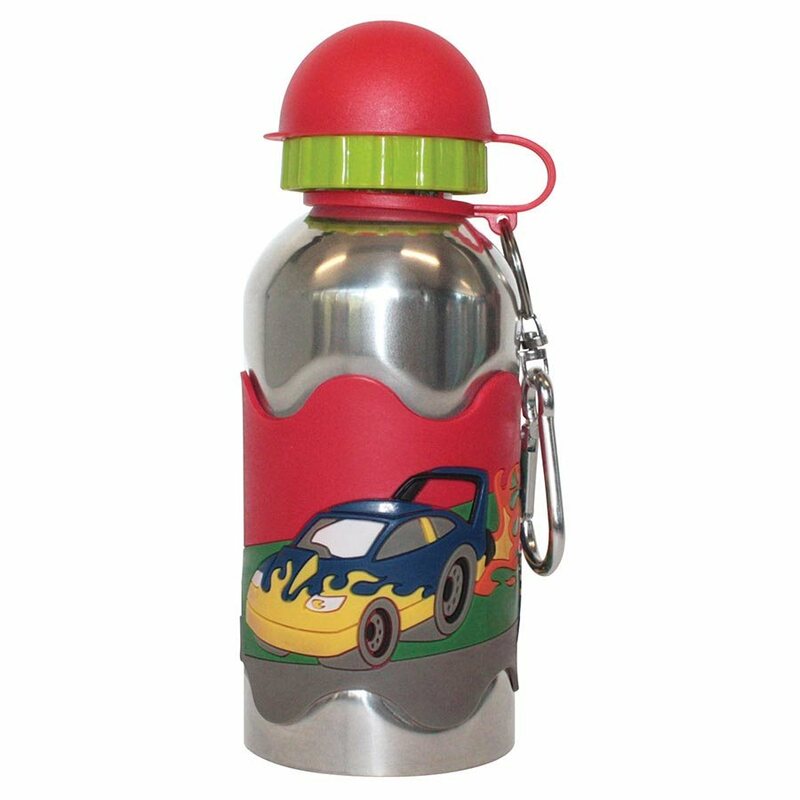 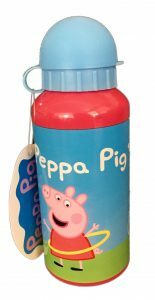 Be ready for back to school with our AQUA BOY Drink Bottle. 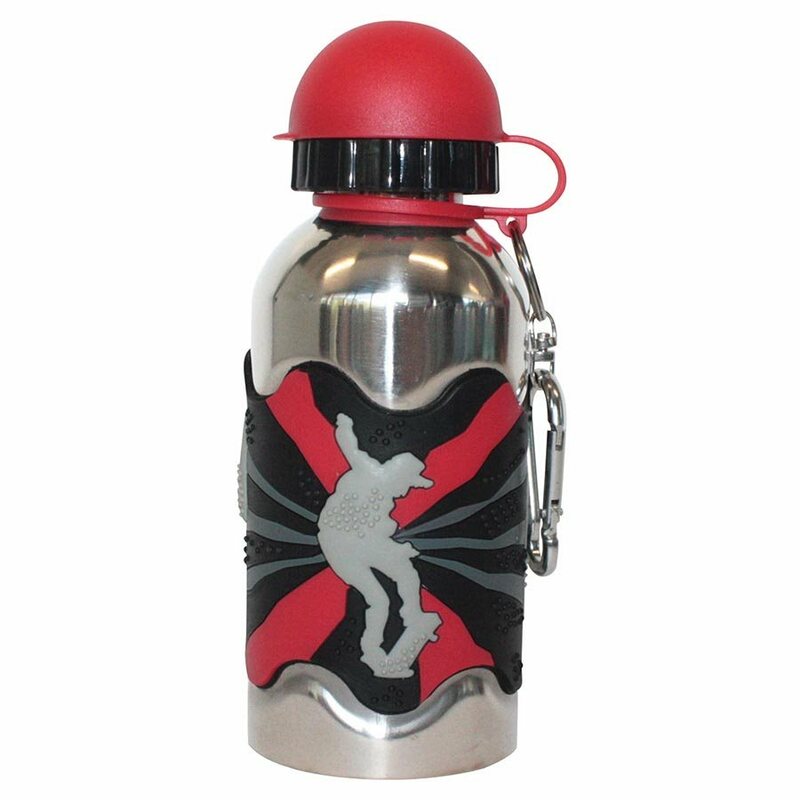 Stainless steel with a built in silicone band to keep your drink cool! 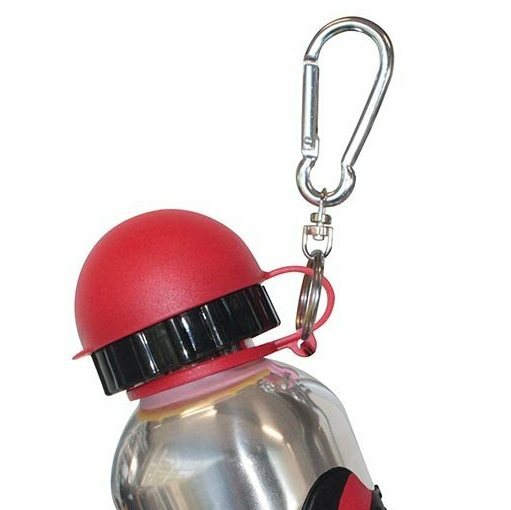 Clip the carabiner on your bag or belt loop and take your drink with you wherever you go! 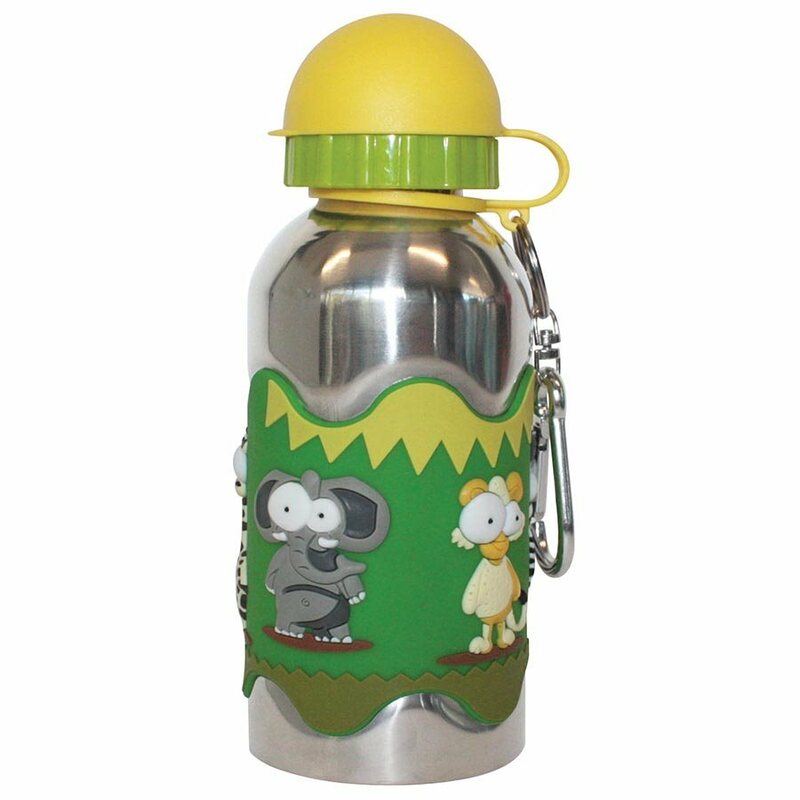 Holds 370ml.